Provide innovative housing solutions and help in the development of sustainable communities with local government units (LGUs); and Promote the use of sustainable eco-friendly construction technologies to help reduce home construction’s impact on Climate Change. Green: Promoting the adoption of environmentally friendly construction materials and practices. Disaster-resilient: Reducing poor households’ vulnerability to natural hazards through safer construction and better community design. Sustainable Community: Ensuring that the social, economic, environmental and political factors are present to help the community thrive and become independent and self-reliant. A coalition of stakeholders, led by Habitat, Hilti and local government units, will implement the project. Partnerships with national government agencies, other NGOs, land developers, vulnerable informal communities and research institutions will support and add value. Hence, the project seeks to form an innovative, motivated and professional implementation team. One of the critical members of the team is the Land Banking and Site Development Manager, who reports to the Chief of Party (CoP). Timely and legal acquisition of appropriate land for site development and house construction. He/she shall work with local and national government agencies and other stakeholders to ensure land is acquired and developed in a timely manner and supported with adequate infrastructure and services; and Design and preparation of sustainable community sites. He/she shall ensure that project sites are developed in compliance with zoning ordinances and regulations and these integrate the project’s concepts, goals, and outcomes. Leads the identification of pipeline land parcels for development into sustainable communities. A pipeline may include more than 20 parcels at a time; hence, the candidate should be experienced in assessing the political feasibility of land acquisition and in coordinating with LGUs, private landowners and their legal counsels. Leads the assessment of site suitability for each parcel, which includes researches, visits, and evaluation of potential private and government lands, following Habitat’s established project guidelines and tools. Suitability factors include, but not limited to; access to basic services (transport, electricity, water, etc. ), minimal exposure to natural hazards, government buy-in, access to livelihoods, and others. Submits to the Chief of Party written recommendations and justifications of whether potential site is project-feasible, evaluates, and identifies any risks for each prospective parcel. As part of risk assessment, he/she must be able to craft a risk mitigation plan (which includes the identification of solutions to discovered issues and infrastructure needs), recommend the needed physical and social infrastructure, services, capacity building, legal documentation, etc., to make the community sustainable and self-reliant. This assessment and risk mitigation plan must be prepared and executed in coordination with the Project Managers and Community Development Specialists. Coordinates all necessary legal and regulatory negotiations and agreements with government counterparts, which includes ensuring secure tenure for community residents and adherence to key zoning ordinances and environmental regulations. Presents program and project plans to partners such as LGUs, private land developers, communities, beneficiaries and other stakeholders as needed. Develops and monitor the implementation of site master plans with the respective LGUs and communities in accordance with the project’s core concepts. Implementation must be done with the participation of target communities and families to ensure that their needs and vision are represented. Regularly collaborates with Site Project Managers, Community Development Specialists, and Construction Managers to ensure site development plans are aligned with and support other departmental needs and plans. Ensures regular and transparent coordination within the Program team and Habitat-Hilti Partnership and promotes clear and effective communications through regular administrative documentation of work progress. 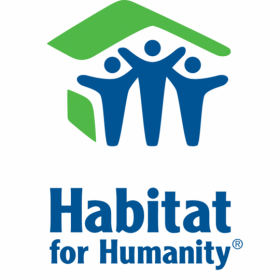 Learns and builds upon the experiences of other Habitat Philippines and Habitat International work in sustainable community development and innovative technologies. Ensures that the Chief of Party is updated to-date on Program activities and any possible risks. Supports the Project’s Resource Development Team with donor calls and presentations, as needed. Provides all necessary land information and reports needed. Performs other related duties and responsibilities, which may be assigned from time to time. Preferred – master’s degree in urban planning or related field and familiarity in private sector property development. At least 7 years of work experience in land acquisition, real estate development, community development or property management. Desirable – prior experience engaging local government units and national government agencies involved in housing and/shelter. Required - familiarity with site development, land acquisition and knowledge of local building requirements and other governmental regulations. Desirable – project management skills and knowledge of CAD, Autocad and Safety Management. Ability to build business relations. Able to work within unstable and difficult conditions. Willingness to work flexible schedules (e.g. meeting with stakeholders on the weekend). Ability to establish good working relationships with fellow national and international staff and partnerships stakeholders. Willingness to uphold the Christian principles of Habitat. This is a project-based position. Applicants should have the right to work in the Philippines where this position is to be based.